A Year after my Graduation: What have I learned? It's graduation season today. The batch next to ours will graduate anytime soon in the next few days. I bet they're excited. Finally, all their hard work, their sleepless nights, all those blood, sweat, and tears, they all paid off. Once they secure soft copies of their graduation pictorial outputs, one by one they'll be changing their profile pictures and writing their own speeches along with these, thanking everyone who had been part of their journey to where they are now. I was once in their shoes. Now one year had passed by. Actually, one (1) year and twelve (12) days to be exact. So, within these 378 days, what have I been up to? More importantly, what have I learned? Immediately after graduation, since I graduated from a board course, I, along with my classmates, took our reviews for our then upcoming board exams. As for our batchmates from other courses, most of them have secured their first jobs, some pursued higher education and Law School, while the other board courses took their reviews as well. For us who graduated from board courses, graduation wasn't a final relief just yet. It was pretty much like a bridge to another milestone, which is passing the board exams. Being a professional was our final hurrah before we can finally say that we have fulfilled the purpose of studying for four (4) years in college. Once we became professionals, some applied for banks, real estate companies and developers, and others joined realties. Wanting to make the most out of my profession and to have all my time to myself, I belong to the latter. Yes, I chose to have a semi self-employed life with unpredictable earnings. My batchmates are now enjoying their lives traveling, hanging out with their workmates, grabbing an opportunity in another city, while here I am doing freelance work and hoping to pursue higher education. I dreamt of being able to travel in my 20s, and now I'm turning 22 this year but then I haven't gone to a single tourist spot in my life yet because I don't have funds for it. I dreamt of being able to hang out with workmates but then I find it hard to find people whom I can truly connect with when it comes to my nature of work. I dreamt of being able to work in another city but then I am not yet permitted to do so under some circumstances. On the other hand, I guess it was better to wait. I guess it was better to reflect on myself some more, especially on what I really want to happen in my life. I guess I have to practice my skills some more, and perhaps integrate my hobbies along with those. I guess I have to understand that I don't have to hurry and force things to happen, and just keep in mind that each of us has our own timezones. But you know, sometimes I ask myself, how many NOs will it be before I can close my first sale? How much do I still have to endure before I can finally say that I have achieved, this time, the essence of my profession? Until when do I have to wait once again? What should I do this time? Indeed, life is full of uncertainty. We don't know for sure what will happen. We have these structured plans, but most of the time it won't go our way because apparently, God has something better to offer for us. We have to understand that His timing is always right, no matter how much we may doubt it. 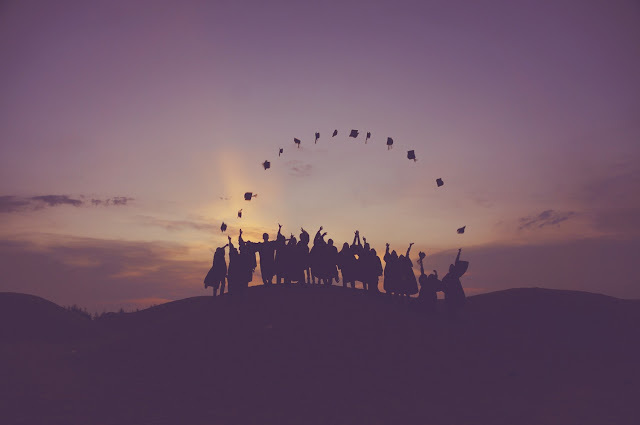 To those who have already been living their lives to the fullest after graduation, congratulations! In my eyes, you are doing well. To those who are like me who are still waiting for some better things to happen in their lives, I will be hoping that we'll be able to succeed someday. To those graduating this year, you may have your respective paths after graduation, and all I can say is that life after school will be different. You'll be out there, proving you're one of the best, because it's a tough competition out there. You may get confused once in a while on what you really want in your life, you may get discouraged, or you may come to doubt yourself, but that's okay. You're not the only one. Opportunities may come and go, but choose the ones you think are for you. Beginnings are meant to be humble, so don't be afraid to start small. Gain some experiences. No one becomes the boss immediately without experiencing being at the bottom. Strong work ethic is also important because that's what will take you far in company promotions. If you really want to be your own boss, why not open your own business? And lastly, learn how to wait patiently. You should not be in a hurry. Think about life-changing decisions many times before you come to the final verdict. Strategize your life well while you're at it. Here's to wishing ourselves luck on each other's future endeavors. Explore while you can. Acquire more knowledge, skills, and experiences. We'll see each other succeed soon. But for now, feel free to enjoy your moment! Graduation is one of the most important moments in our lives, so let's cherish it while we can.